Obituary – Andrews, John Arthur “Jack” « Perry High School Alumni Association, Inc.
﻿Band 49-53, Basketball 49-50, Wrestling 51-52, Class Assembly 49-50. 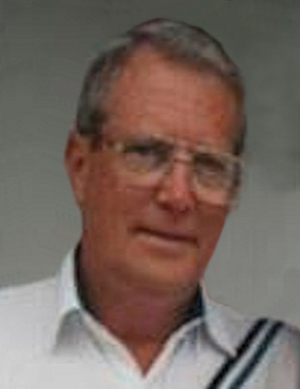 John “Jack” Arthur Andrews, 73, of Cleveland, Oklahoma, formerly of Perry, passed away on November 10, 2009 at his home. Graveside services for Jack will be at 2p.m. Thursday, November 12, 2009, at the Grace Hill Cemetery Pavilion with Rev. Rick Rhodes, officiating. Jack was born on November 18, 1935 in Perry, Oklahoma to Harry and Lucille (Rynearson) Andrews. He attended Perry Schools and after graduating from high school, he served in the United States Army in communications. On June 11, 1954 in Camp Chaffee, Arkansas, Jack married the love of his life as well as his best friend, Melba Lois Owens. In 1956 he went to work for Western Electric installing direct dial systems in Oklahoma, Kansas, and Mississippi. Jack worked for Southwestern Bell in Tonkawa and Blackwell for 15 years. He also worked in the oil fields in northwest Oklahoma. Jack and Lois then opened a Sonic in Lubbock, Texas. They eventually had Sonics in Page and Flagstaff, Arizona as well as helping Marvin Jirous to open the first overseas Sonic in New Zealand. In 1995 Jack and Lois retired to Westport, Oklahoma to be next to Keystone Lake. Jack loved to hunt, fish, and pilot his own plane. 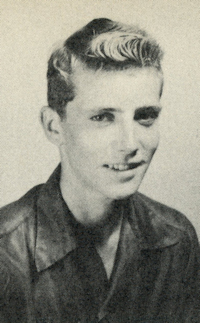 In addition to his wife of 55 years survivors include four daughters: Vickie and her husband Caroll Shinn of Shawnee, Oklahoma, Dona and her husband Jim Almack of Ames, Oklahoma, Susan and her husband Dave Bauer of Lubbock, Texas, and Tricia Nichols and husband Jeff Hollie of Cleveland, Oklahoma; one son, John and his wife Sara and as well as one sister, Jean Griner and husband Al of Bella Vista, Arkansas, his mother-in-law Cuba Owens, Perry, Oklahoma as well as 13 grandchildren and 2 great grandsons as well as a host of friends. Jack was preceded in death by his parents. The family will receive visitors Wednesday, November 11th from 6p.m. to 8p.m. at the Perry Funeral Home and Thursday November 12th from 3p.m. to 6p.m. at the Holiday Inn Express in Perry. Arrangements have been entrusted to the Perry Funeral Home.